What is The Great Debate? The event takes place in June, and is a forum for influential business leaders, academics, and some of Brighton and Hove’s decision makers to discuss and debate ideas relating to growing Brighton’s economy. The debate has been organised in the spirit of finding ways to attract new investment and new talent to the city, as well as to encourage growth amongst existing businesses – many of whom have been established in the city for decades. The debate will make use of the pool of local experts to advise on trends to be aware of and capitalise on, and will offer local business leaders the chance to network and consider collaboration. 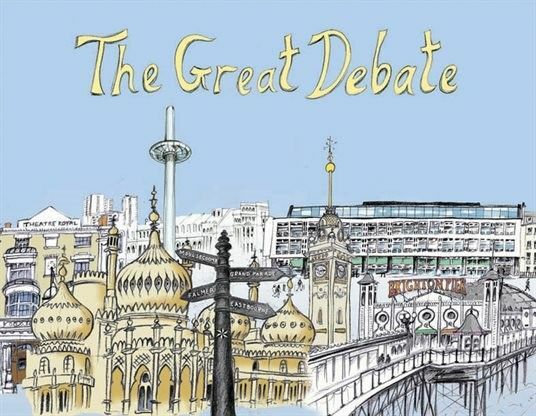 The University of Brighton will also be using comments from the debate to inform their leaders on the type of support they could be offering to Brighton businesses. The University have recently launched their Research and Strategic Plan which seeks to provide a range of consultancy, training and strategic research partnerships to the local business economy. So, what does the future hold for business in Brighton? We see continued growth in the economy, more accommodation for employees, and more new businesses joining us and creating meaningful employment opportunities. But we also know that Brighton has its own authentic and unique personality and will work with our fellow business leaders to protect Brighton’s identity as she grows.